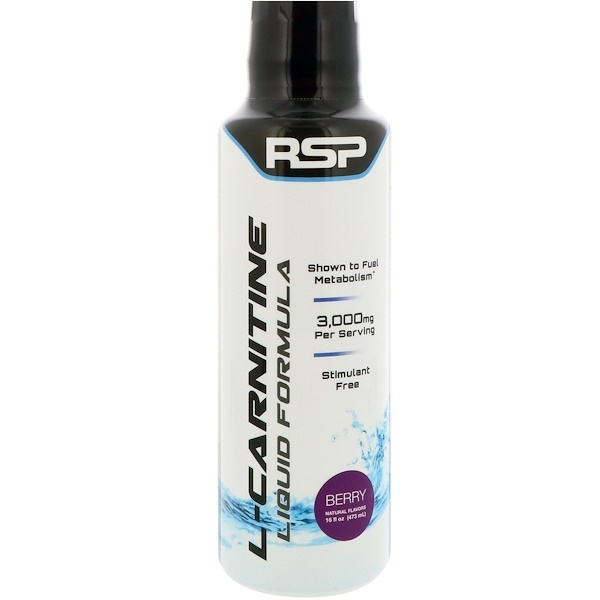 L-Carnitine is an amino acid that has been show to help facilitate the transfer of fatty acids into the mitochondria of cells for energy production. Not only does this naturally occurring amino acid help with fat metabolism and energy, but it has also been shown to reduce muscle fatigue. Promotes healthy body composition by transporting fats into mitochondria for energy product. Shown to enhance athletic performance and endurance. Reduce depletion of muscle glycogen & lactic acid accumulation. Shake well before each use. 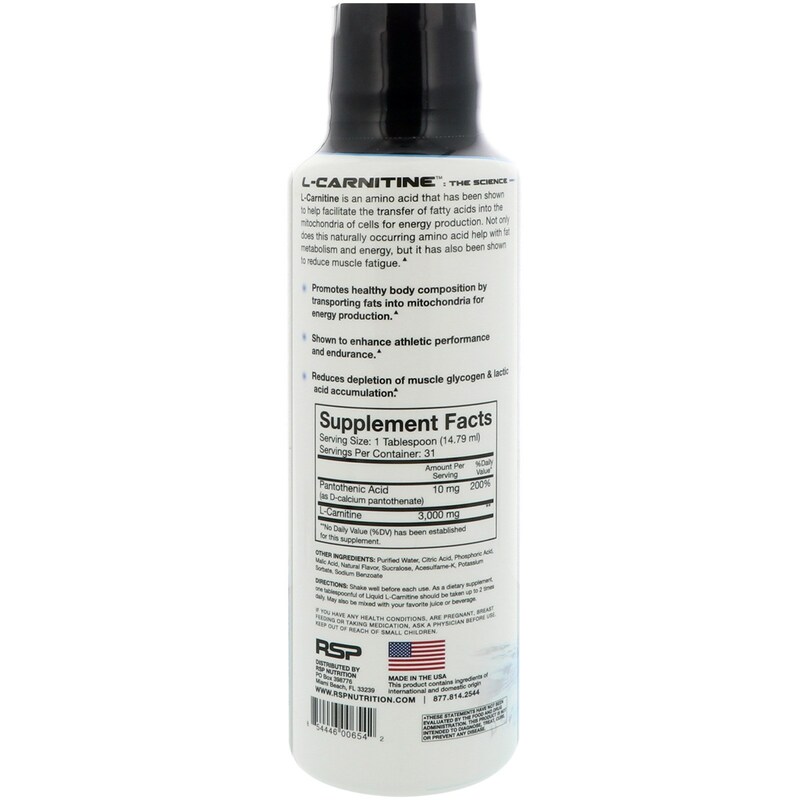 As a dietary supplement, one tablespoonful of Liquid L-Carnitine should be taken up to 2 times daily. May also be mixed with your favorite juice or beverage. Purified water, citric acid, phosphoric acid, malic acid, natural flavors, sucralose, acesulfame-k, potassium sorbate, sodium benzoate. **No Daily Value (%DV) has been established for this supplement.